2. A person's moral or emotional nature or sense of identity. A friend of mine is shopping for a car. He commented that the SUV’s he is considering have no soul. I thought about that comment as I rode the K75 for the first time this year. Do machines have soul? Can a new machine have soul? Isn’t it our relationship with that machine - the time, the adventures & misadventures we share with it, isn’t that what forms the identity, giving the machine soul? I don’t think a new bike, or new car can have soul off the lot. I think it needs to develop soul, and some never will. The K75 has soul. It’s 25 years old this year. I have owned it for 13 years. I remember the day I picked it up. The gentleman that sold it shared his photo album, packed with pictures from the many trips he and his wife had gone on with “Gretchin”. (I never cared for the name, and within a year of owning it, the K75 was dubbed Spare) I wish I’d paid more attention to that album. 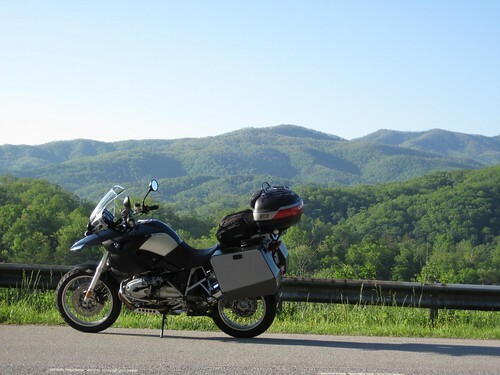 As it was my first bike, I only glanced at those pictures, they where someone else’s memories of trip to faraway places, like Maine and Canada, I could not even fathom that the bike would ever travel so far with me. On that first day, I could not even envision getting out of my drive way. I had the GT for 5 years and it remained soulless. Why was that? Perhaps we never bonded right, I knew in my heart it was not the bike for me. With the K75, I can’t part with it, it is an old family album, a family friend…it is family. 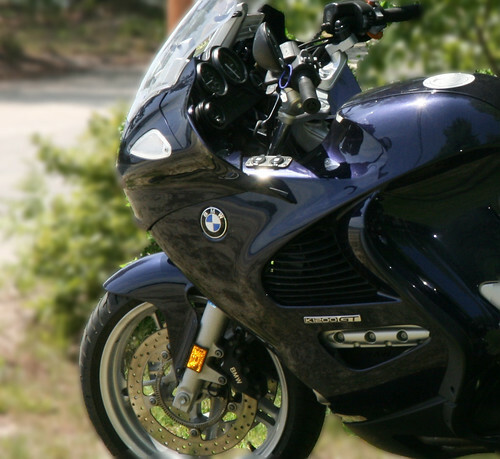 If you are swapping out your ride every 2 years, how can you expect to bond with your machine? Why do people do that? Are they in search of some elusive quality in a bike? Or is it only important that they be seen on the latest machine? Perhaps they are missing the point. A new machine will remain soulless until you two have been though something together, and that takes time. Nice thoughts... I like your comment about wishing that you'd paid more attention to the K75's photo diary. It's kind of like wanting to see the baby pictures of an adopted child or, a new love, or a new son- or daughter-in-law. You love them immediately, but you'd also love to know their life story before they were a part of your life. I too believe that soul is imparted to our beloved machines over time and through experience. However, it can't just be time since, they could be accruing time while collecting dust in the garage... soul is imparted across the miles you "share" while riding "together". Some machines as with some people have no soul, for many reasons. 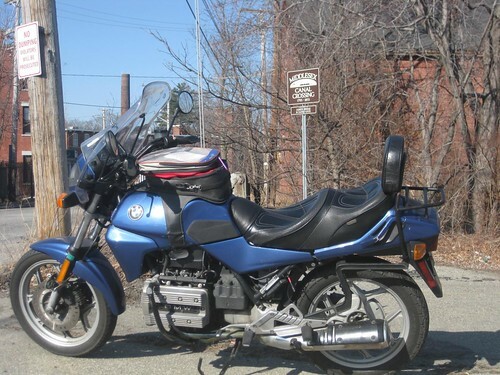 I kept my 1981 Honda Goldwing Interstate until 2009 when my cancer laden body said no more! The Black Beast had a shade over 400,000 kilometres on the clock when I sold it, to somebody who could keep it functional. As for me no replacement machine, yet. Like your K75, the machine had a very alive soul, created by a bond between motorcycle and man. So far that particular soul has not, sadly returned. A long time ago I read an aritcle entitled "Can A Styrofoam Coffee Cup Have Soul?" The author claimed it could on the same basis that you write about. It's all in the relationship you have with the object. Great blog. I read it regularly. Well said. Couldn't agree more. I'm looking forward to many adventures for many years to come on my RT. My dad was one of the coolest motorcycle guys out there! 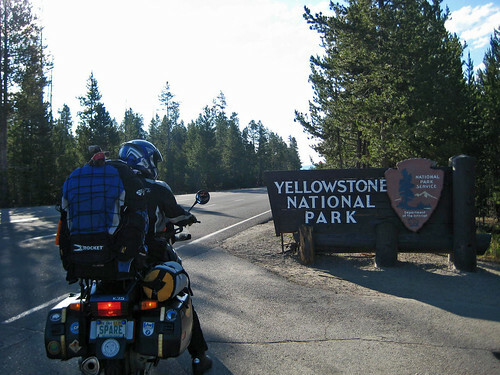 He loved his bike and the one thing he always let me pick out were his motorcycle helmets . I loved he let me be a part of something so special to him. Though - I must admit I have a hard time bonding with a machine. With humans, yes, of course. I know most of the people I call "friends" for 15 to 25 years or even longer. Machines - not so much. 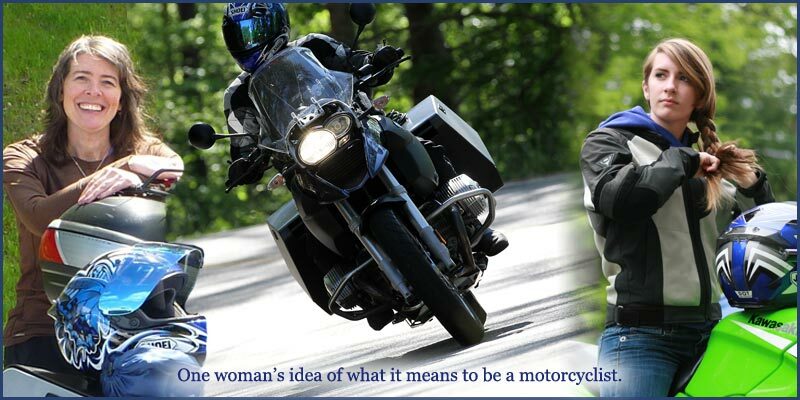 And motorcycles, I'm more a "so many fun bikes, so little time" type of rider. But I can certainly see where you're coming from! I enjoyed reading this. I completely get what you mean. I have owned numerous motorcycles over my lifetime, but for some reason my R1150GS and I have a "bond".